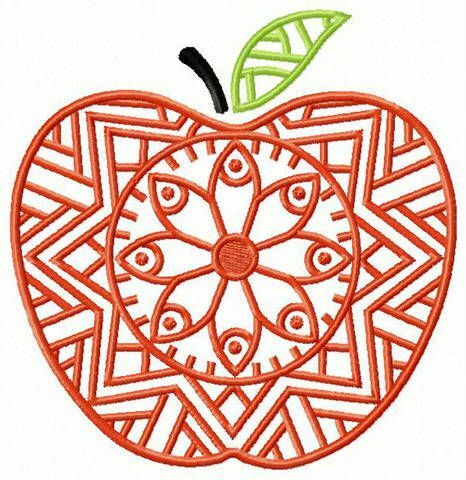 Looking for some simple, yet tasteful embroidery designs to enhance your kitchen essentials? Make cooking more enjoyable and inspiring by decorating the various kitchen bric-à-brac with this embroidery design. It features an apple the insides of which are made of some exquisite floral and geometric patterns and shapes. This three-colored needlework comes in a mix of honeysuckle, black and erin green and will look great on your dish towels, aprons, napkins, tablecloths, oven gloves, curtains, etc. Stitches out perfectly to any suitable fabric! Earn 248 points for purchasing this product.